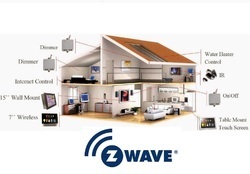 Want smarter control of your automated devices Add one of our gateways. Download the automation app and fully exploit the internet's potential. To meet the requirements of general-purpose machine tools and enhance the competitive advantage in the industrial automation market, Delta Electronics, Inc. is pleased to announce that the new high-performance and cost-effective ASDA-B2 series servo motors and drives has launched into the market. Green Building Technology Pvt. Ltd. This perticular working system Needs, one Server to be setup, to serve database and files. It is automation of the home, housework or household activity. Home automation may include centralized control of lighting, HVAC (heating, ventilation and air conditioning), appliances, security locks of gates and doors and other systems, to provide improved convenience, comfort, energy efficiency and security. We supply premium quality Procon Products which are made with the use of cutting edge technology as we procure our Procon Products from the leading manufacturers. Our Procon Products are manufactured in accordance to the international standards and are available at economic prices. Designed to make you happyWe have the honor to present you the new dimension of comfort – Home Center Lite, incredibly compact brain of the FIBARO System. Latest creation, designed with your needs in mind. Let it change your life, making it safer and more convenient, and your home intelligent, efficient and comfortable. Little thing – great effect! - Battery: 6, 000 mah Li-polymer Battery Built-in rechargeable lithium-polymer battery Up to 5 hrs on movie play Up to 24 hrs on Standby mode. LOGICON SERIES single chip microprocessor custom built dedicated programs as per logic sequence user panel flush mounting facility, 8 way/16 way digital inputs & outputs, built in timers, open collector / relay output key board and display and battery backup. Our presented range of Sliding Gate Automation System is broadly employed in the market for their durable nature.